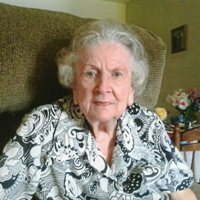 Annie Sue Tidwell, age 86, of Lawrenceburg, TN passed away Sunday, November 18, 2018 at her residence. She was a native of Lynnville, TN, former employee of Murray Ohio, and retired from LaDel Mfg. She was preceded in death by her parents, Buford and Lessie McMillion Thurman; her husband, Virgil Neal Tidwell; one son, Douglas Neal Tidwell; and one daughter, Linda Ann Rosson. Arrangements are being handled by Neal Funeral Home, 231 N. Military Avenue, Lawrenceburg, Tennessee. The family will receive friends from 5:00 PM to 8:00 PM Friday, November 23, 2018 at Neal Funeral Home. Funeral services will be conducted at Neal Funeral Home at 1:00 PM Saturday, November 24, 2018, with Gary Hughes officiating. Interment will follow at Mimosa Cemetery in Lawrenceburg, TN.